Our last day at Disneyland was the best. We wanted to stay until the park closed so that we could watch Mickey’s Soundsational Parade. We decided to save our sandwiches for dinner to eat during the parade. Isaac was SO excited to have a picnic at the parade. He carried the lunch pail all day. He wouldn’t let it go for anything! We left the park for lunch and let the boys take a real nap back at the hotel. That was such as smart idea. After their naps they were so happy and ready for a few more hours of fun. We hit almost everything in Fantasy Land and took pictures with a lot of characters today. We actually rode the train as transportation instead of diversion. 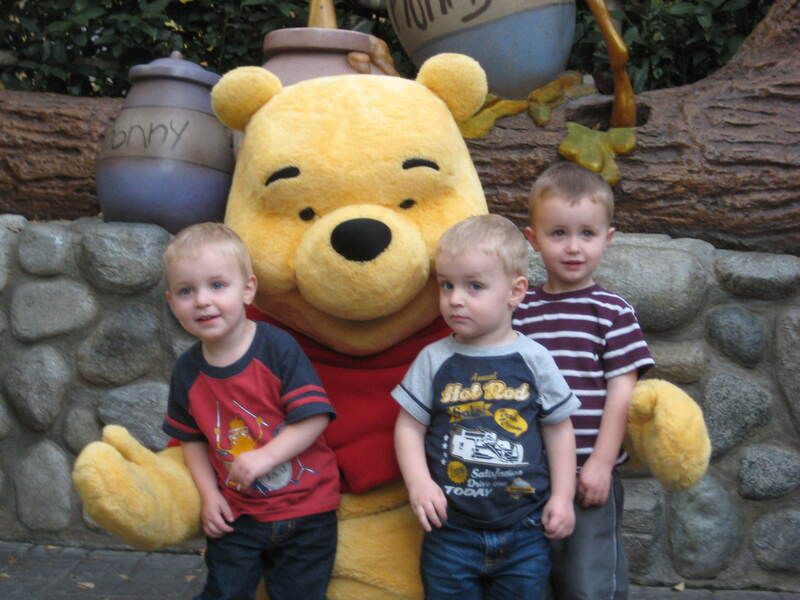 I think the highlight of the day for the boys was seeing Tigger, Eyore and Pooh. They still talk about them. About an hour before the parade was supposed to start, I took the empty stroller and snagged us a good seat in the circle in front of Sleeping Beauty’s Castle. I lucked out and got a bench after one family decided they didn’t want to sit there for an hour. Derek and Mitch let the kids play on the cars in Toon Town and took them on several more rides in Fantasy Land while I saved our spot. Smart move for two reasons: 1) Fantasy Land was empty and 2) the boys didn’t have to sit still for a whole hour before the parade even started. The parade was so fun. I don’t know if it was because Isaac had anticipated all day his parade picnic or it was night-time or he was well-rested but the parade was magical. It was so fun to see their reactions. Cooper was waving frantically at every one for the whole parade. Carter was dancing and yelling and pointing. Isaac was taking pictures with his trusty camera and would get so excited whenever something else came around the corner. I’m glad we took the time to see it. The next morning we were on the road by 4:30. The trip home was (luckily!) pretty uneventful. We stopped in Baker for gas, go-gurts and muffins. 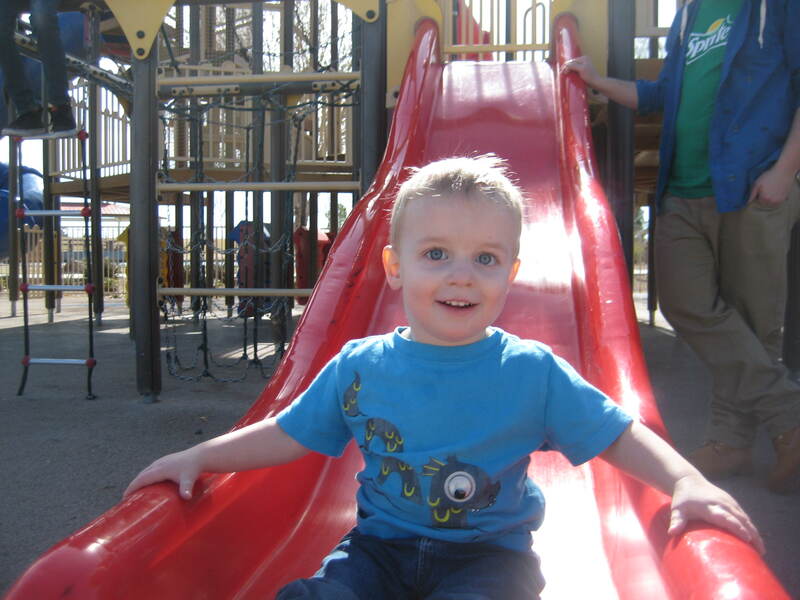 We had lunch at a park in St. George. 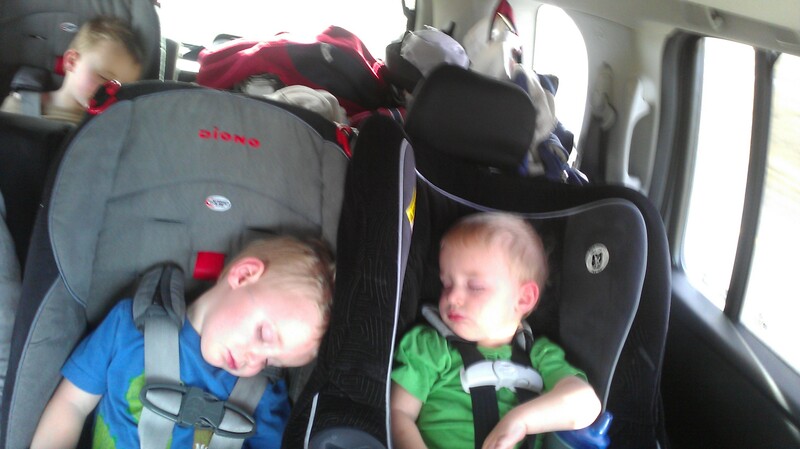 The boys slept clear until Scipio where we had to stop for gas. We were at Grandma Cynthia’s by dinnertime. We had such a fun time! Next time we do Disneyland, I’m sure it will be a very different experience. Our kids will probably be more independent. They won’t need naps. We won’t have to haul a stroller or a diaper bag. We’ll all be able to ride the big rides. They’ll remember more. Yes, it will be very different (and maybe easier!). But we won’t ever have the chance for this same experience again. I’m glad we took the chance. The next day (up at the crack of dawn again) was our Magic Morning day. 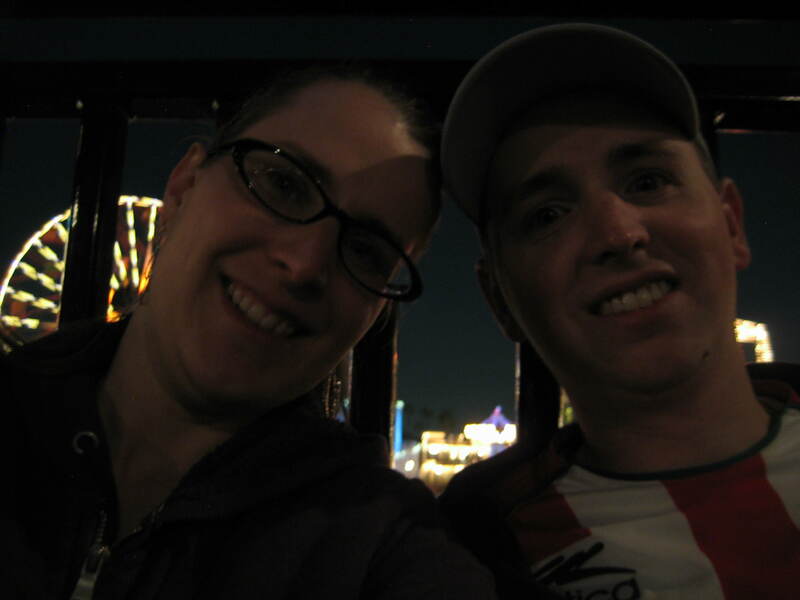 But, since Disneyland’s hours change daily, we were really in the park at the same time as we were the day before. I guess We did beat SOME of the crowd by having our Magic Morning passes. We rode Space Mountain and the Matterhorn right off the bat since the lines for these were short. The lady at Space Mountain told us about how you can cheat the system a little bit using stroller passes (officially called Rider Switch) and Fast Passes concurrently. I wish we would have known about this at California Adventure. Fast Passes let you skip the long line at some of the popular rides, but you can only get one at a time (or every 90 minutes, whichever is shorter). 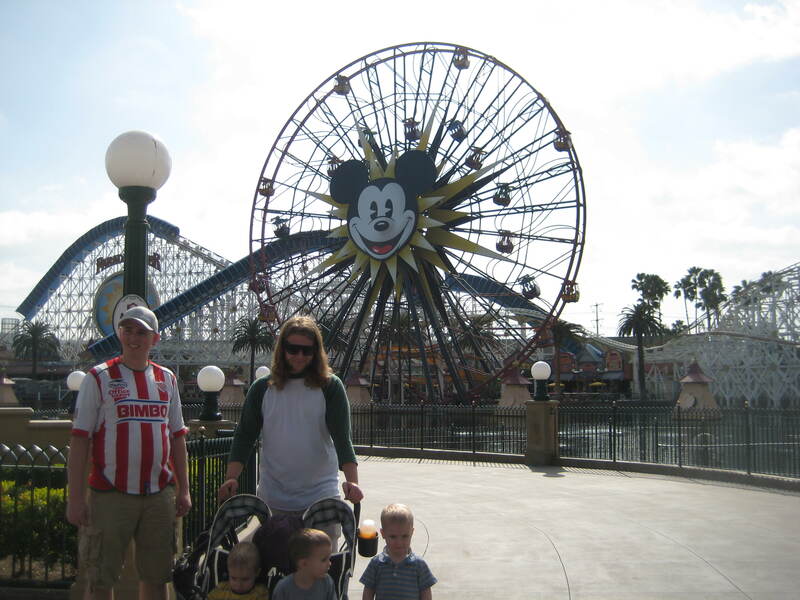 So, for example, in California Adventure we got four Fast Passes for California Screamin’ (we used Isaac’s ticket plus our three) and then I waited with the kids while Derek and Mitch rode. 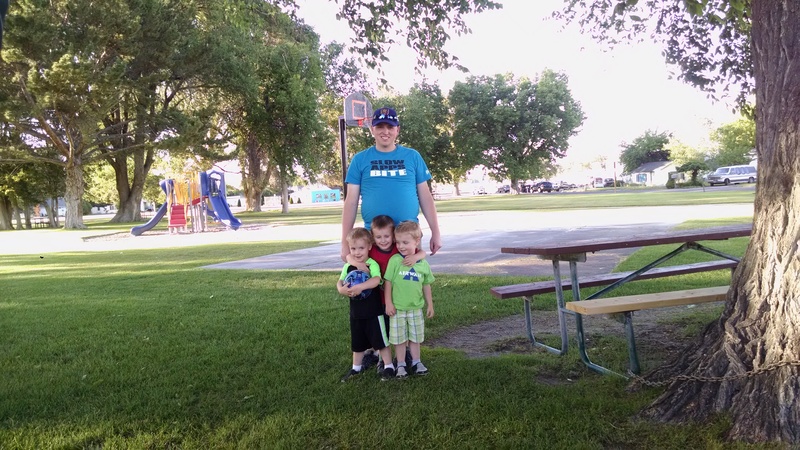 Then Mitch stayed with the kids while Derek and I used the other two passes. We found out from the Space Mountain lady that we should only get TWO Fast Passes for any given ride and then ask for a stroller pass once we got to the front of the line. For example, we would get two Fast Passes for Space Mountain and two more for Indiana Jones during the same 90 min window. When it was time to return to the ride, Derek and I would ride Space Mountain, ask for a stroller pass and then Derek and Mitch would take the stroller pass and ride while I waited. Then we could head right over to Indiana Jones and do the same thing. We did this for Space Mountain, Indiana Jones, Matterhorn (no Fast Passes) and Star Tours. This day was a little tough on the kids. 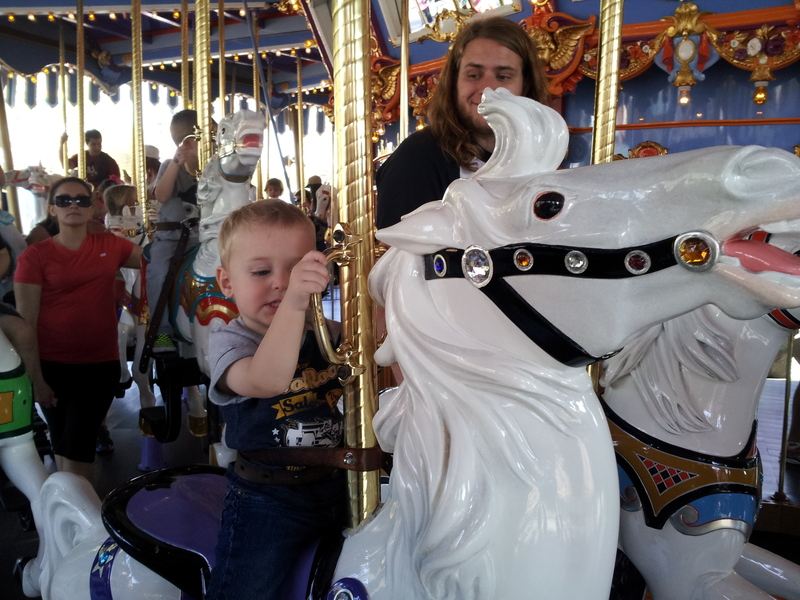 Since we rode all of the grown up rides this day the boys did a lot of waiting and walking around. It was hard to go on rides with the boys while we were waiting since most rides only seat three. Plus, kids under 7 have to be seated with an adult. The train was a good one to ride with one adult and three kids, though. I think we rode it 3 or 4 times to stay entertained during wait times. Tarzan’s Tree House: Derek and the boys did this while Mitch and I rode Indiana Jones. Pirates of the Carribean: I had forgotten about the little drops. They aren’t really that big but in the dark, they made the twins a little nervous. Then the ride broke down while we were on it. It wasn’t awful but I don’t think this was the kids’ favorite. 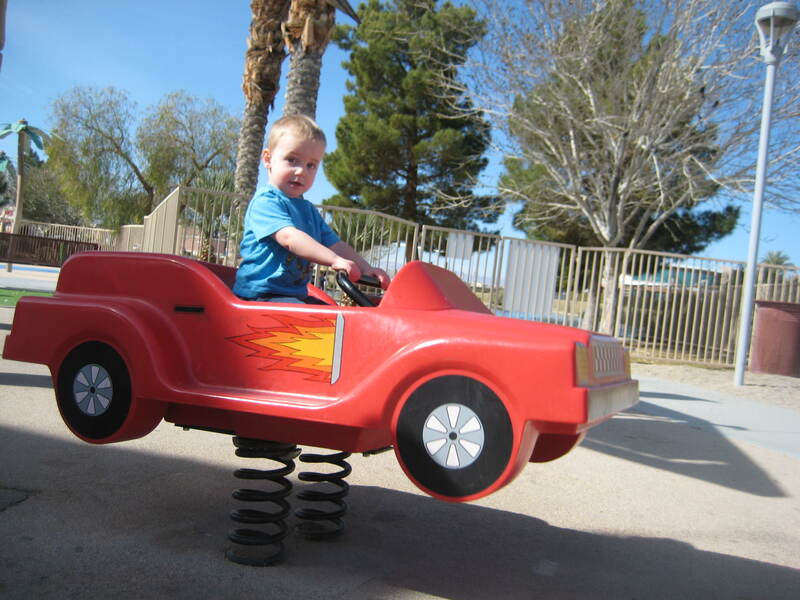 *Autotopia (32″ limit): The boys LOVED this ride. The car I was driving kept stopping on the track so I didn’t love this one. If the line hadn’t been so long we would have gone on this one a few more times. Buzz Lightyear Astro Blasters: Similar to Toy Story Mania in California Adventure. Instead of playing video games you shoot lasers at Zurg and all of his minions. Astro Orbitor: Classic “rocket” ride similar to Dumbo. It made me sick. 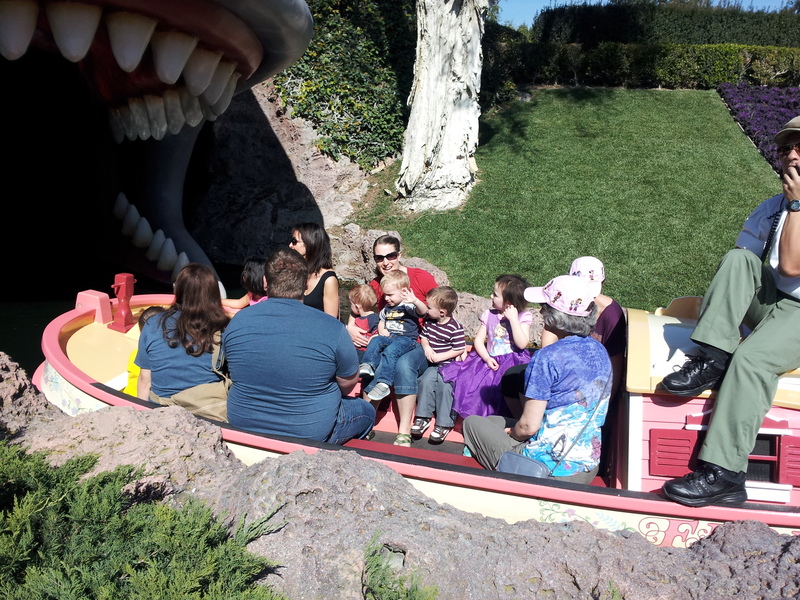 *Jungle Cruise: We went on this twice. The boys liked going on the boat and seeing all of the animals. My cousin Casey is living in California and going to nurse anesthetist school. 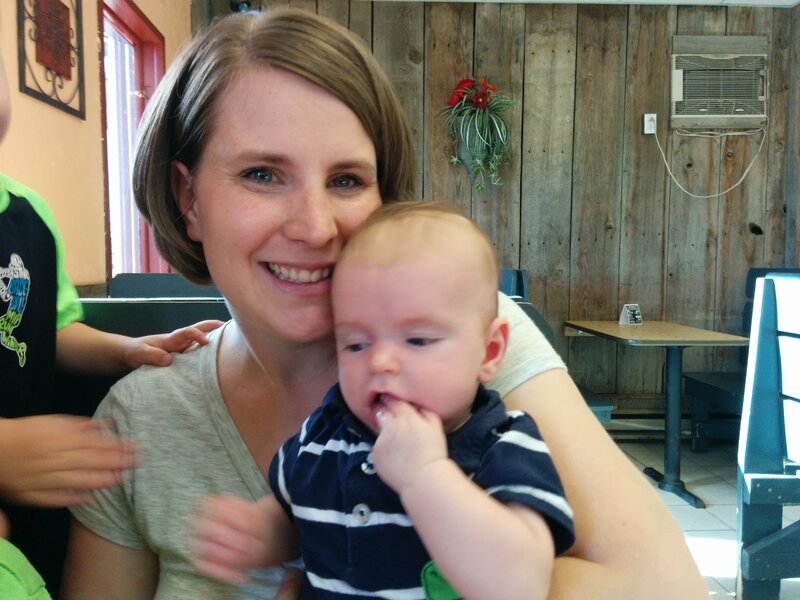 His wife, Ashley, came to meet us late in the afternoon with her two boys to say hello. Derek and Mitch left for the Lakers/Jazz game soon after. It was nice to have someone to hang out with for awhile before dinner and it was so fun to see them! I realized after Derek and Mitch left that my credit card was back at the hotel. I had hoped to just eat dinner in the park to save myself some hassle. Instead, I packed all the boys, the stroller and our gear on the bus, back to the hotel and up to our room only to realize my credit card was in my pocket the whole time. Awesome. It wasn’t too bad, though. 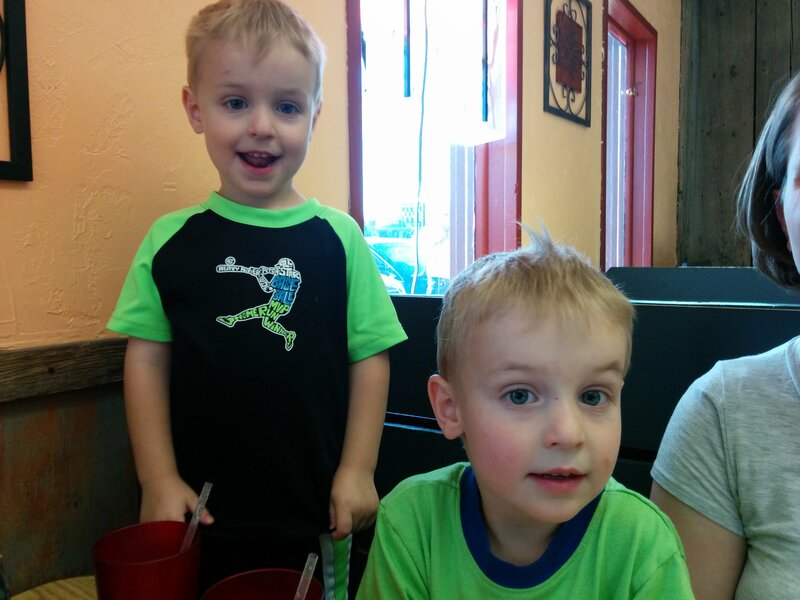 The boys had been well-behaved and happy the whole way so we headed out again to find dinner. They boys were insisting on Mac N Cheese so we trekked four blocks down the road to Red Robin. I think the hostess and waitress thought I was crazy. They weren’t super helpful or empathetic to my situation, but so far, the kids were still doing really well. Pretty amazing considering they didn’t nap and it was almost two hours past their normal dinner time. I was happy and grateful. Towards the end of the meal, things started to go south really fast. Isaac zonked out in his chair sitting up. I couldn’t get him to wake up so I held him on my lap so he wouldn’t fall to the ground. At the same time the twins started arguing (i.e. growling, squealing, hitting and yelling) about who was going to get to run next to the stroller on the way back (I only had a double). Yes, they both really did want to run and not ride. A kind lady at the table next to me offered to help. She got my stroller and helped me get the kids strapped in and out the door. Cooper and Carter were still wailing. Carter, because he was the unfortunate one to get put in the stroller, and Cooper because he was just plain exhausted. The walk home was pretty comedic. Isaac was out cold in the stroller. Carter was trying escape from his seat belt and screaming bloody murder. 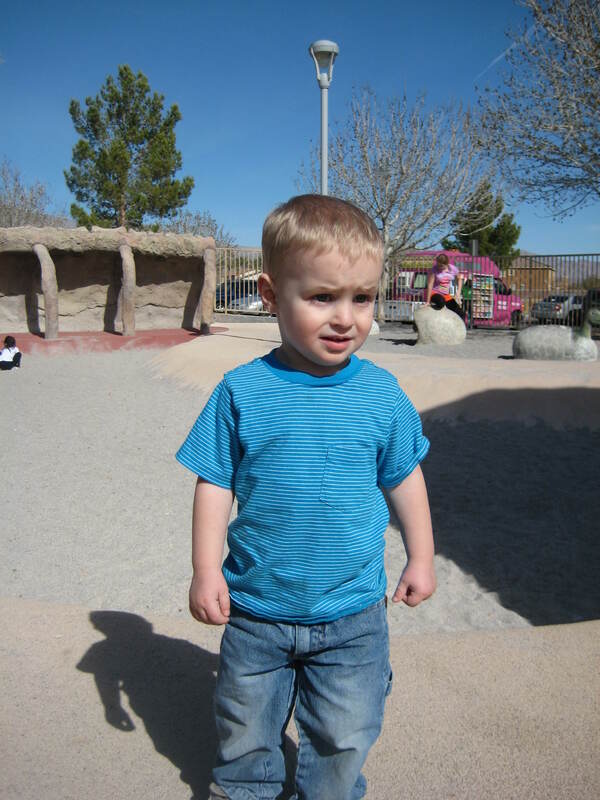 Cooper, mad that I made him hold my hand across every busy road, was also sobbing as he ran next to the stroller. I was singing them songs and pointing out all of the buses, trucks, and colors I could along the way. We sure made a scene. All because I didn’t take two seconds to check my pockets for a credit card… Oh well. It makes for a good laugh. I wish I had a picture of it to post. Needless to say, the boys went right to sleep the second they got in bed. So did I. We woke up bright and early! 5:30 or 6:00 a.m. in California felt like normal wake up time to the boys. When we went down for breakfast we found out that several other Utah families were enjoying their February in Southern California as well. We all stuck out from the natives in our shorts and flip flops while they were still in jackets and pants. We spent the first day of our park visit at California Adventure. 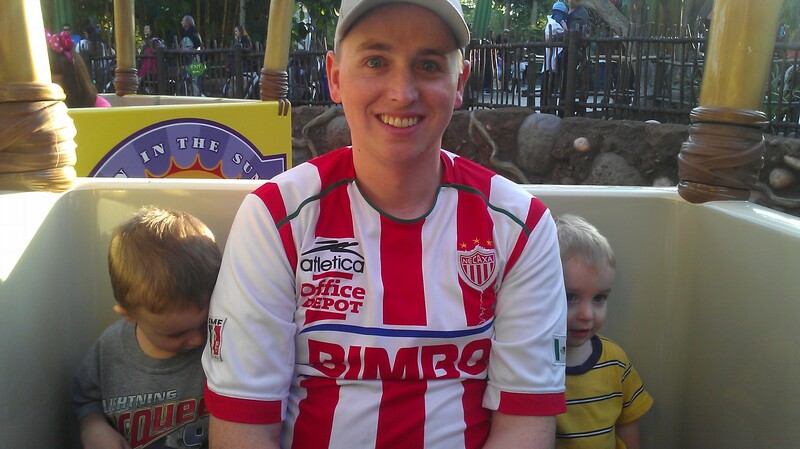 The last time I went to Disneyland was 2001, so I have never been to California Adventure. 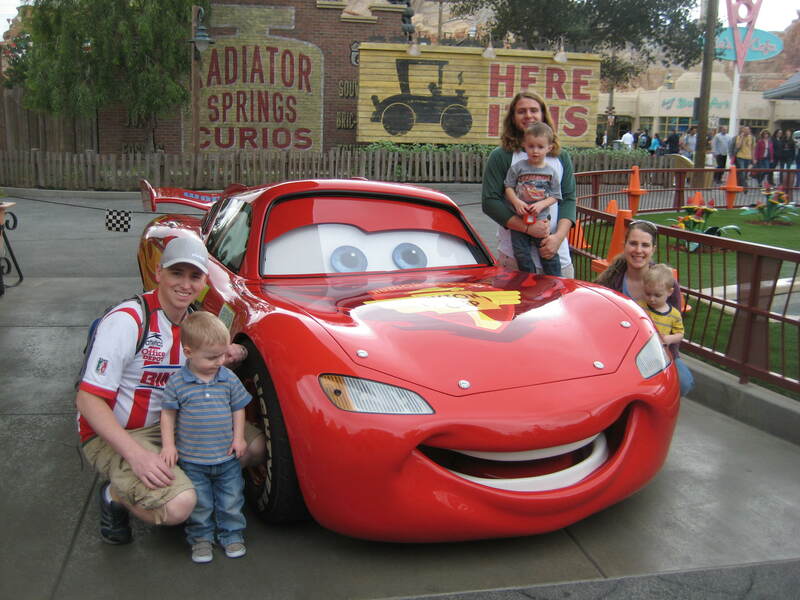 I was really excited for Cars Land (the boys are kind of obsessed with Lightning McQueen and Mater) and it didn’t disappoint. 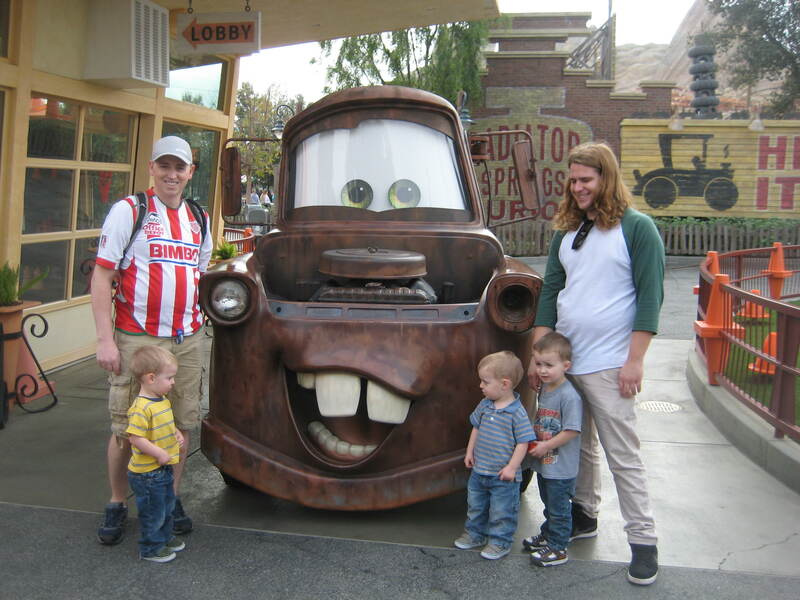 It felt like we were right in Radiator Springs and it was definitely the highlight our visit for me. Derek, Mitch and I each took a turn waiting in line for Fast Passes to Radiator Springs Racers, California Screamin’ (my favorite) and The Twilight Zone Tower of Terror while the other big people rode rides with the little people. 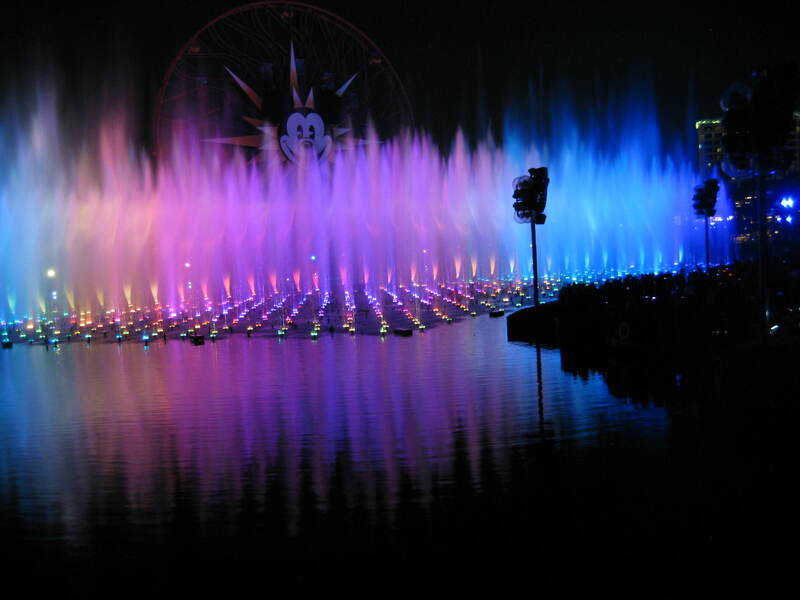 Derek and I also got Fast Passes for World of Color as recommended by Teri. It was fun to be able to do some adult things too. There was quite a bit that the boys could do. I was pleasantly surprised. The twins barely cleared the 32″ limit and Isaac was just at the 36″ mark. 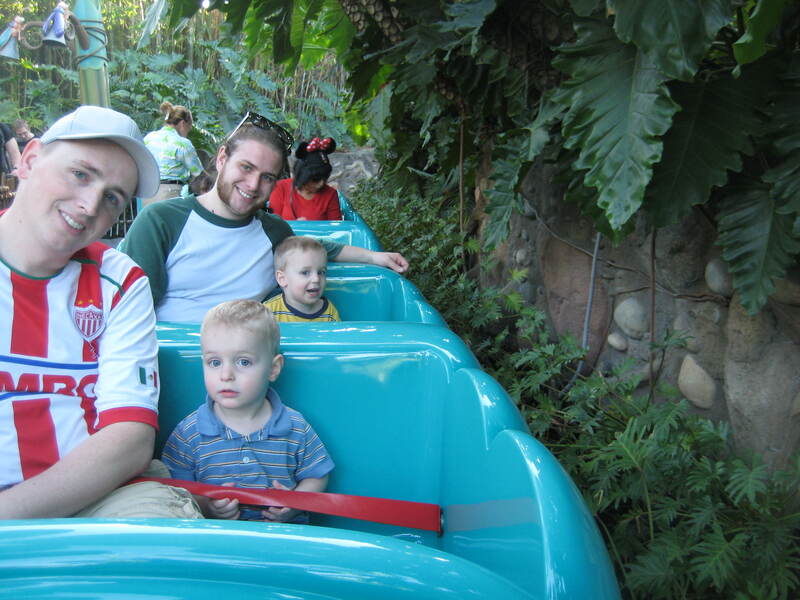 The only “kid” ride that the twins couldn’t go on was Tuck and Roll’s Drive ‘Em Buggies. 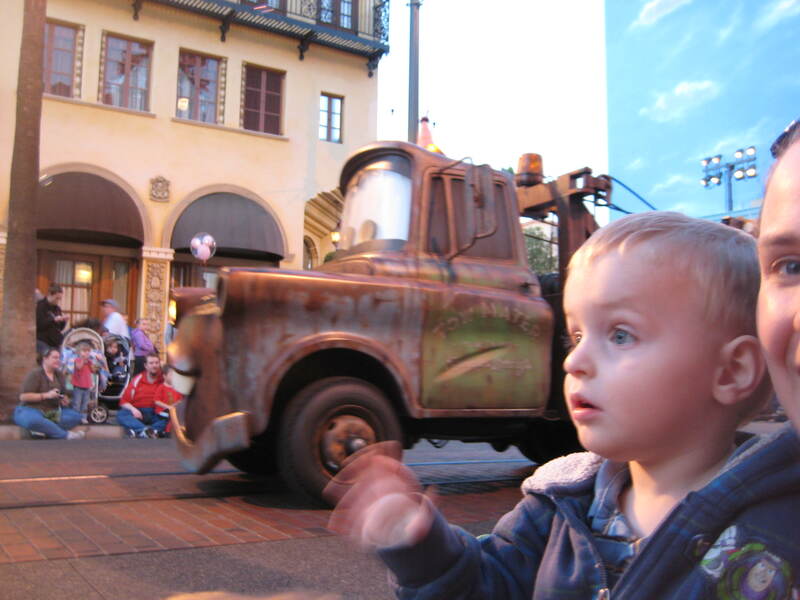 Isaac was super disappointed that he couldn’t do Radiator Springs Racers with us (40″ limit). He was bawling when Derek and I came back to him after riding. Sad day. 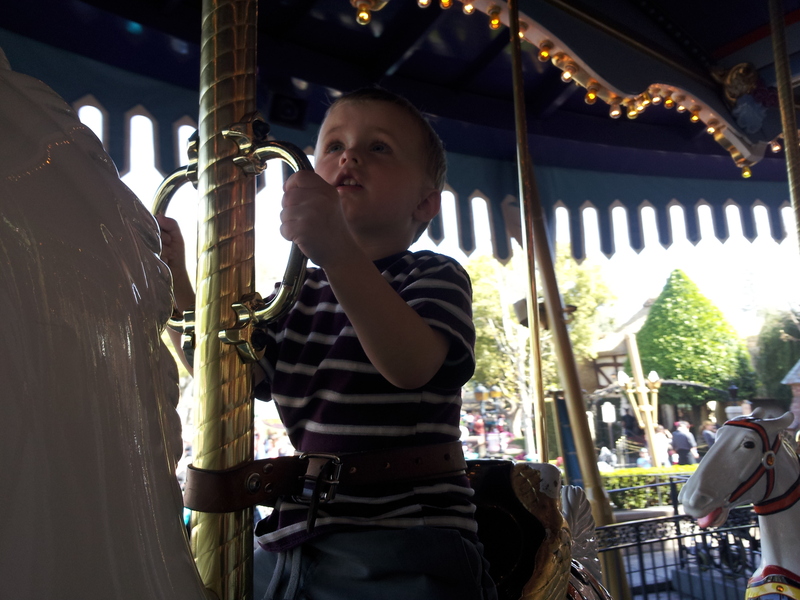 Here’s the list of toddler-friendly rides that we rode and a review of each for anyone (like me!) who hasn’t been to Disneyland in a while. The boys’ favorites are starred. Mater’s Junkyard Jamboree (32″ limit): This is kind of the same idea as the Scrambler carnival ride only you ride in tractors and Mater sings. The boys were a little nervous when it went fast. And it made me sick. But overall it was pretty fun. Toy Story Midway Mania: This was my favorite kid ride in California Adventure and it was the longest wait (40 min) of our whole trip. If I could do it again, I’d ride this one very first after getting Fast Passes to everything else. It’s also different than any other ride I’ve been on. 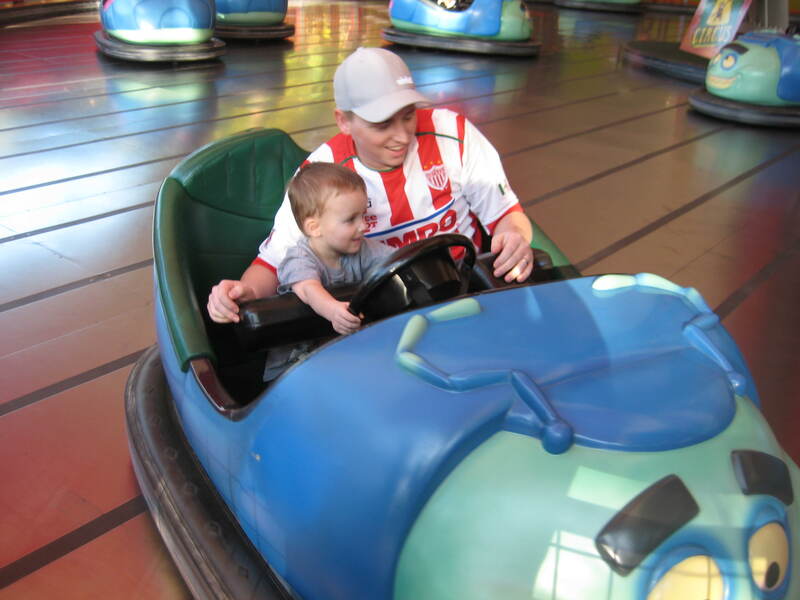 You ride in a car wearing 3-D glasses and play different arcade games (target shooting, ring toss, skee ball etc.) I thought the boys would really like it but I think we lost their attention during all the waiting. And they had a hard time keeping their glasses on. The Little Mermaid – Ariel’s Undersea Adventure: I had heard that this was a popular ride so I didn’t really think we’d take the time to stand in line for it–especially since the boys have never seen The Little Mermaid. I was surprised at how short and quick the line was! You sit in a clam shell train that never stops moving. It’s a classic Disneyland ride in a dark building that depicts scenes from the movie. Ursula was kind of scary. 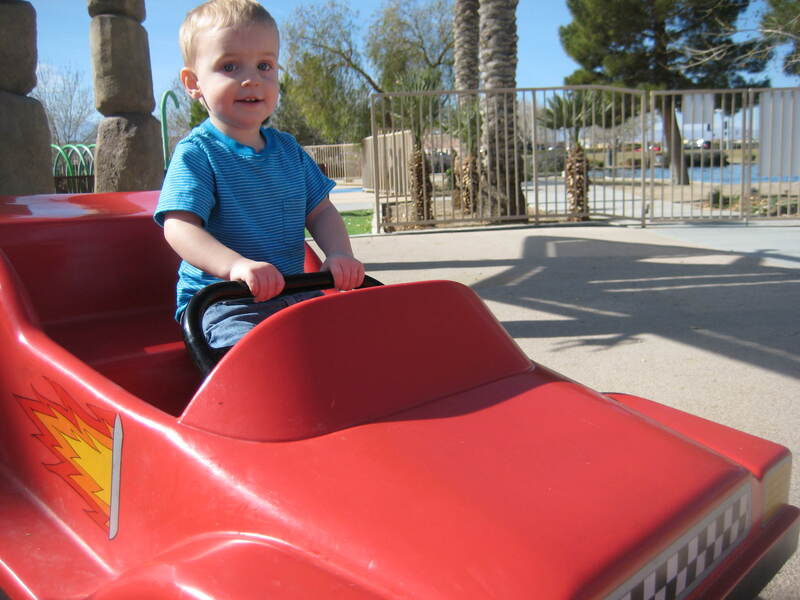 *Tuck and Roll’s Drive ‘Em Buggies (36″ limit): Isaac rode this with Derek and he LOVED it. Cooper was super jealous and kept trying to climb the fence so he could get in. They are just bumper cars that look like potato bugs inside a big circus tent. Heimlich’s Chew Chew Train: This was kinda cute. You go through a garden of giant food and hear Heimlich eating it all. He starts off with carrots and watermelon and ends with candy corn. Francis’ Ladybug Boogie: This is basically the tea cups ride only they are lady bugs. Spinning again. Made me sick. Flik’s Flyers: These are mini hot air balloons that lift up and spin around. Another nausea inducing one for me. (I guess all kid rides make me sick now. I must be getting old….) All six of us could ride in one box together. 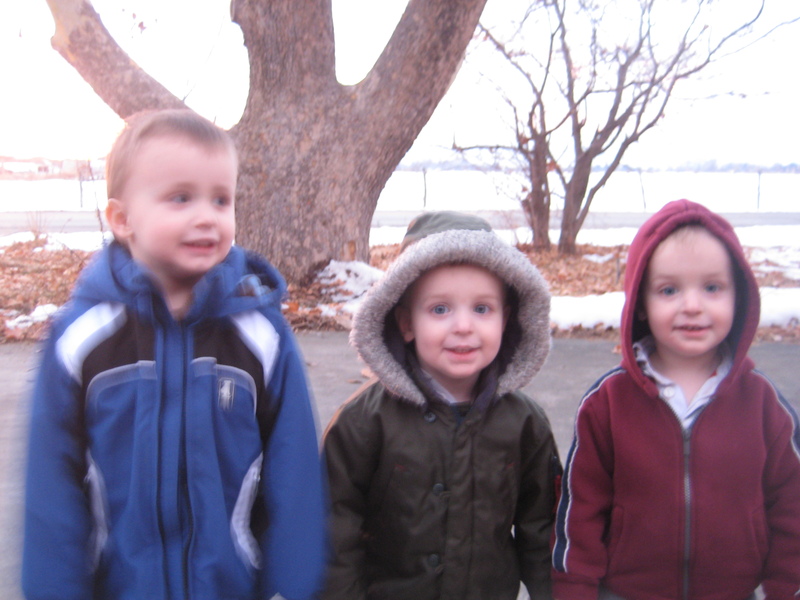 Can you tell these boys (especially the biggest one) love posing for pictures?? 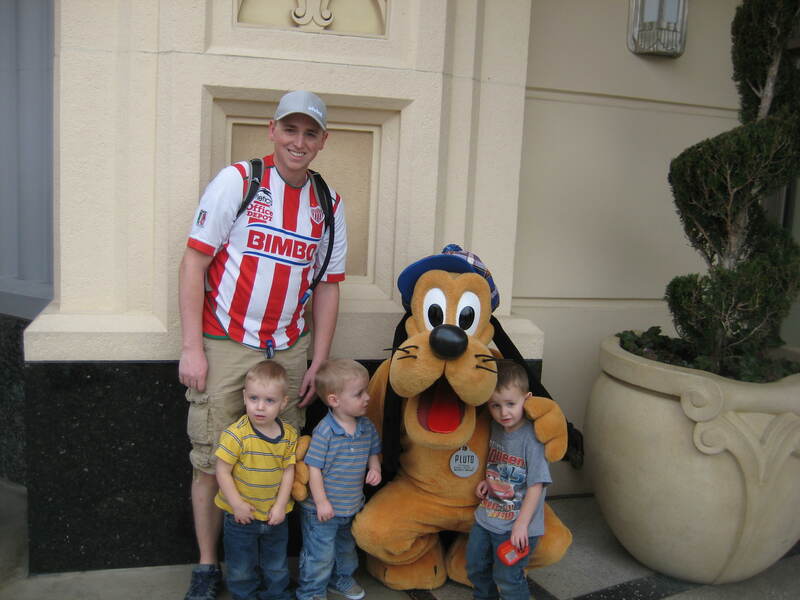 We stopped to see Pluto right as we entered the park. I was interested to see how the boys would react since it was their first character encounter. The were a little nervous when they got right up close and they had to keep their eyes on him. 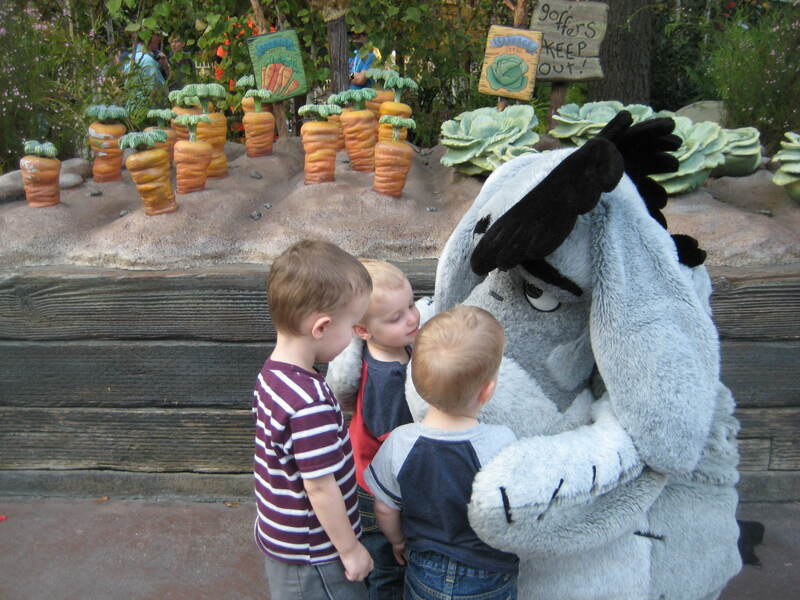 But they actually really loved meeting him and all of the other characters. Since they had such a good time with Pluto, we took time to say hello to all the “celebrities” we passed throughout the day. I’m glad we did. We got some fun pictures. 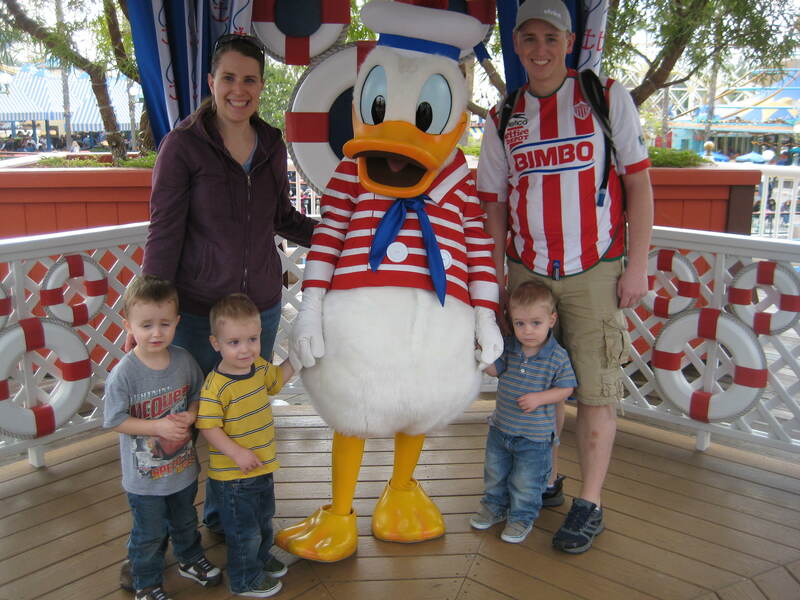 We saw Donald and Buzz on Paradise Pier. We also stuck around for the Pixar Play Parade. It wasn’t quite as magical as I had expected, probably because it was dinner time and the boys were tired of sitting around waiting for it to begin. We left the park for dinner right after the parade ended. We took the bus over to the Garden Walk area and ate at California Pizza Kitchen. I thought we’d save money by not eating in the park, but that was our most expensive meal. Mouse Savers does recommend signing up for discounts by joining Club Garden Walk on the website. I just never got around to it. Guess I should have. We took the bus back to our hotel to put the kids down for bed. I was worried they’d put up a fight again like the first night. They absolutely crashed. It was so nice. 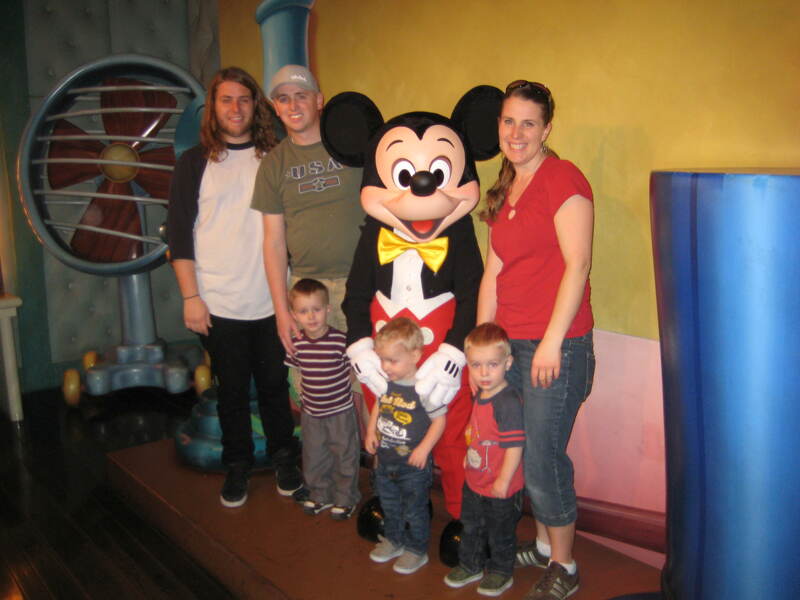 Mitch stayed with them so Derek and I could go back to California Adventure for World of Color. We got there right as they were opening the viewing areas and got a spot on the bridge. We had a pretty good view but I didn’t like that we had to just stand there for an hour to save our spot before it began. We should have brought our cards or a snack or something. It was nice having a little date night in the park without the kids and all their stuff (stroller, lunch pail, diaper bag, etc.). 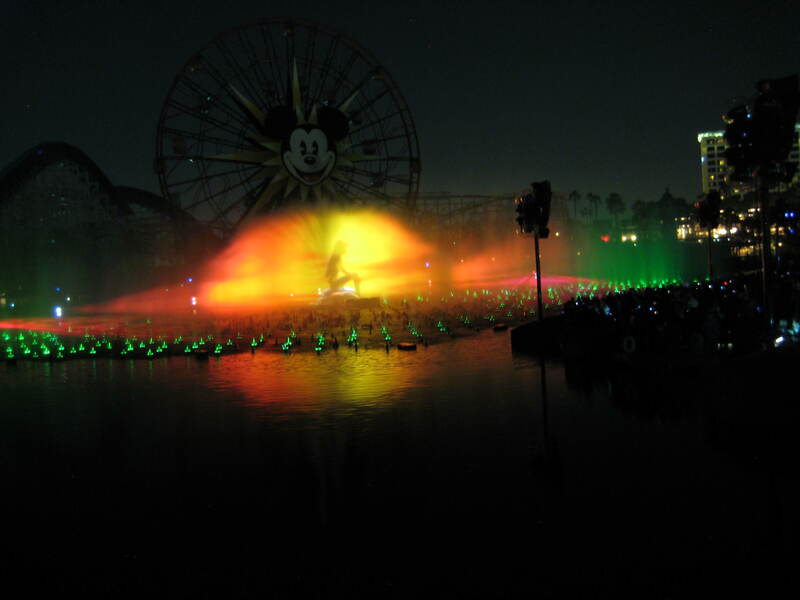 World of Color was pretty amazing too. It was definitely worth seeing at least once. Day two of St. George was much like day one. Derek and my parents took the boys to the “dinosaur museum.” They all voted that it was not so interesting for kids. There were a lot of fossils, not so many dinosaurs. I guess they liked playing in the dirt outside though. We had dinner at Red Robin with my parents before they headed back up north. We went back to the hotel to put the boys in bed and then played cards with Mitch. The next morning we got up and went to church (well, at least the short version of church…) before heading out of town. They boys did really great on the road. We made it clear to Vegas without stopping. They each took turns napping and they finally got to dig into the travel backpacks I had put together for them. I spent a lot of time preparing a bunch of little baggies with quiet activities (sewing cards, stamps, popsicle sticks, pipe cleaners, twisty ties etc). They didn’t touch them. 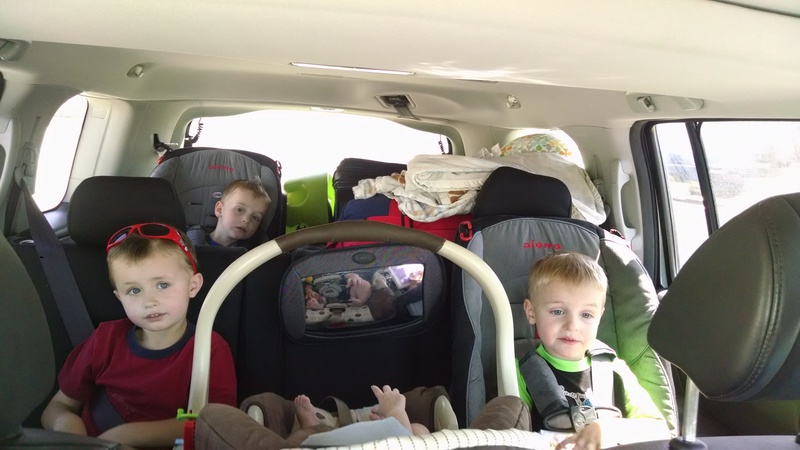 They each got a new hot wheels car and those were sufficient to entertain them for most of the trip. The world about ended though whenever one got dropped on the floor….which was pretty often. We learned from Isaac’s plane ride to Chicago that stickers are a great travel activity so I put tons of Planes and Dora stickers in their backpacks. They didn’t care. Pretty much the only other toys they were interested in were their spinners that I reenlisted from our Chicago trip. So, cars and spinners were all I really needed this trip (oh and the McQueen camera). Wish I had known that sooner! Oh, well. Better to be over-prepared than under-prepared. 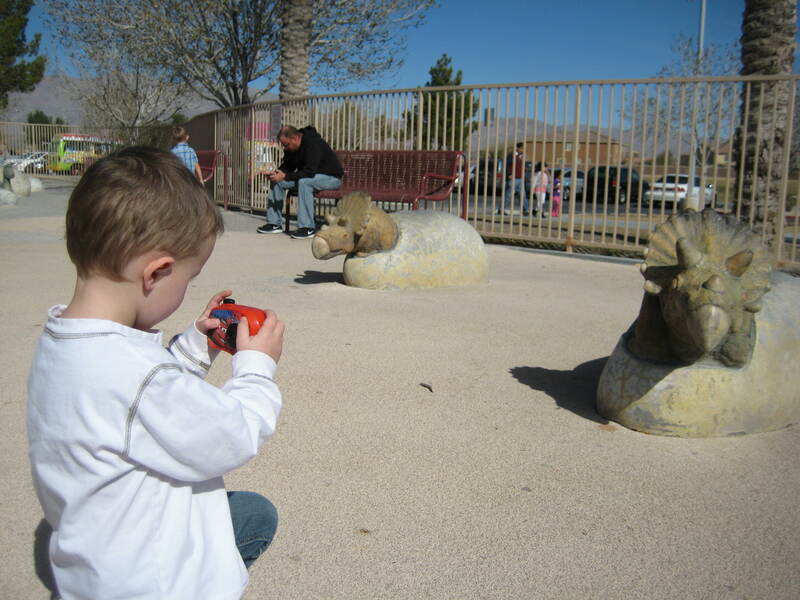 We found an awesome park in Vegas so we could let the kids run around after eating lunch. 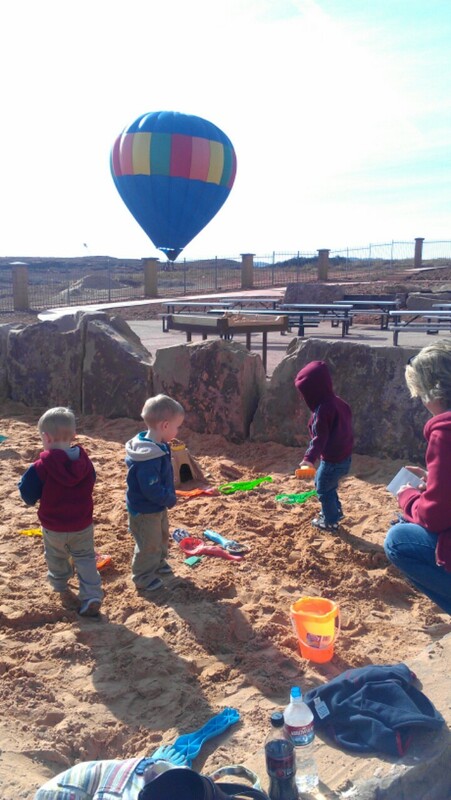 There was a giant sandbox made to look like a dinosaur dig, a nice lake with ducks and geese and a fenced playground with an area for big kids and one for my littles. There was also a splash pad that would be fun to play on in the summer. After lunch we hoped the boys would nap for another long stretch. They did a pretty okay job. 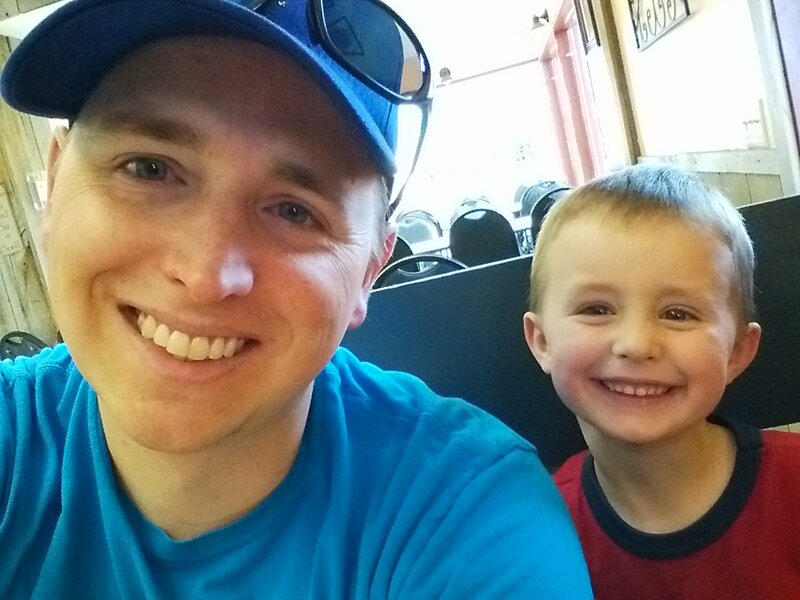 We stopped in Baker for a potty and snack break and then got to Anaheim in time for dinner. We went to IHOP (free kids meal with each adult entree!) and then hung out in the hotel. The boys were a little wound up, as you can imagine after driving all day. 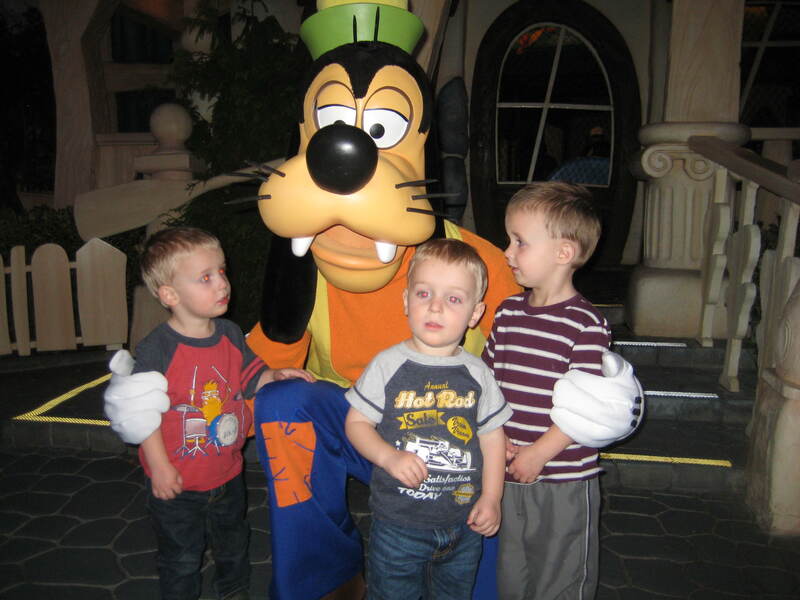 We were three days into our trip and they couldn’t understand why we wouldn’t just take them to Disneyland! I wish I could have thought of a way to help them comprehend the whole timeline thing. I thought they wouldn’t ever go to sleep but, finally, they were nestled all snug in their Mickey Mouse beds, while visions of Disneyland danced in their wee little heads….. 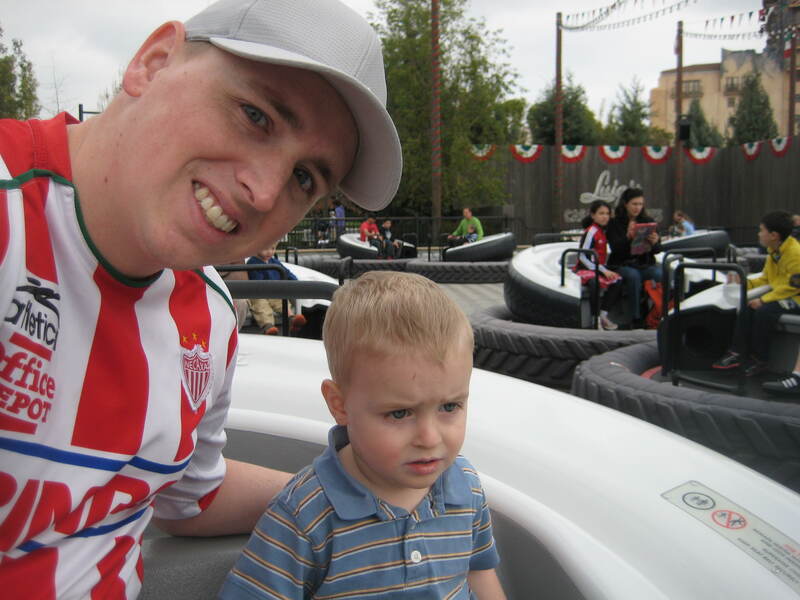 This past October I discovered that kids under three are free at Disneyland. FREE!! Lagoon doesn’t even let kids in for free. 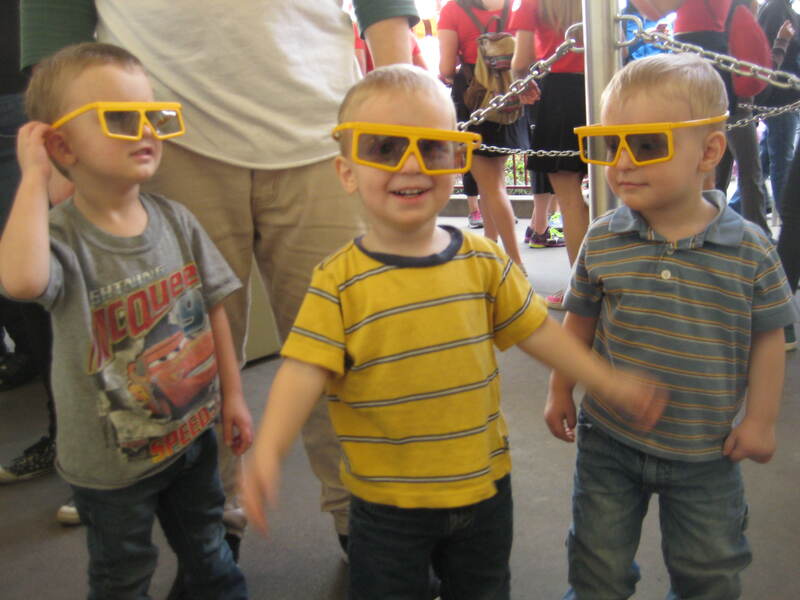 Disney is the master of nickel-and-diming so I was ultra surprised that ALL THREE of my kids were gratis at that point. I’ve also been trying to get to St George for UMEA mid-winter conference for about three years running but never seem to be able to make it. The conference equals like 20 re-licensure points and since my license expires next year, I really wanted to make it happen this year. 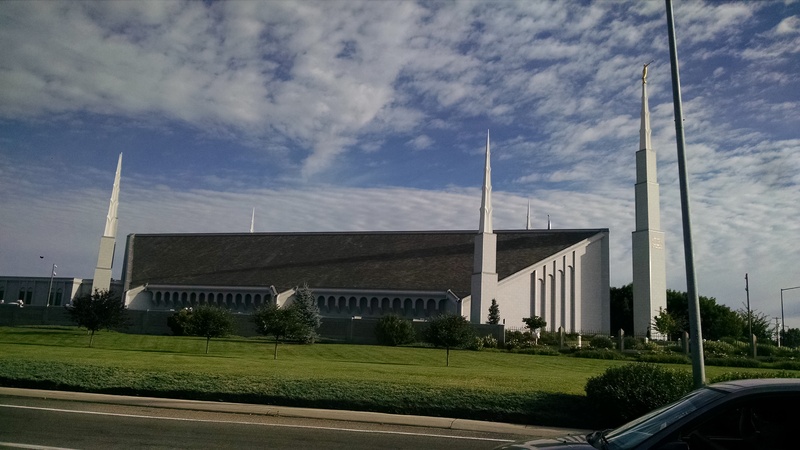 St George is about a fourth of the way to Disneyland (and warmer than Utah Valley). 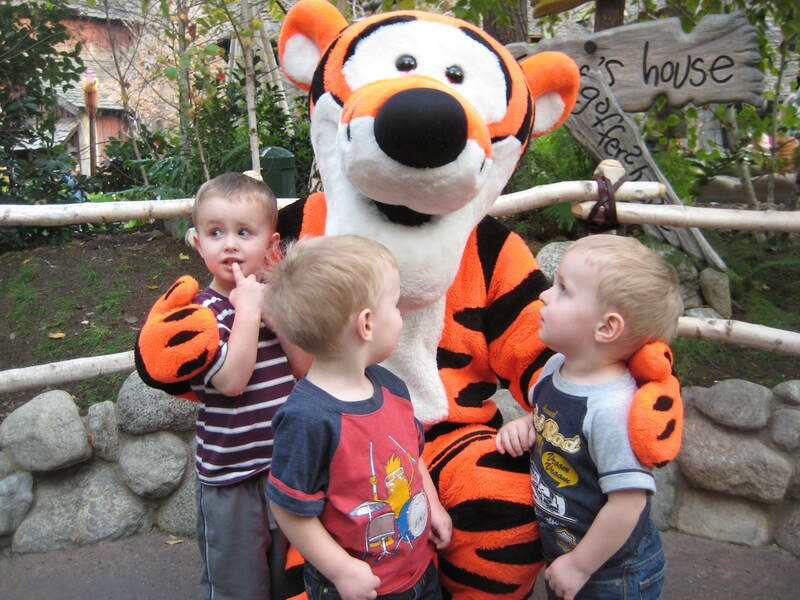 February is the cheapest perfect month to go to Disneyland (and way warmer than Utah Valley). Two birds with one stone. The clincher was finding out that the Lakers just happened to be playing the Jazz on one of the days we were going to be in Anaheim. We had considered asking my brother Mitch (ultra crazy, court-side-sleepover-winning Jazz fan) to come with us to help with crowd control. After our Chicago trip last May, he had offered to come on a trip with us to help watch kids anytime we were going some place with a “cool basketball team.” When we looked up the Lakers schedule and saw that they’d be playing the Jazz, we knew it was meant to be. 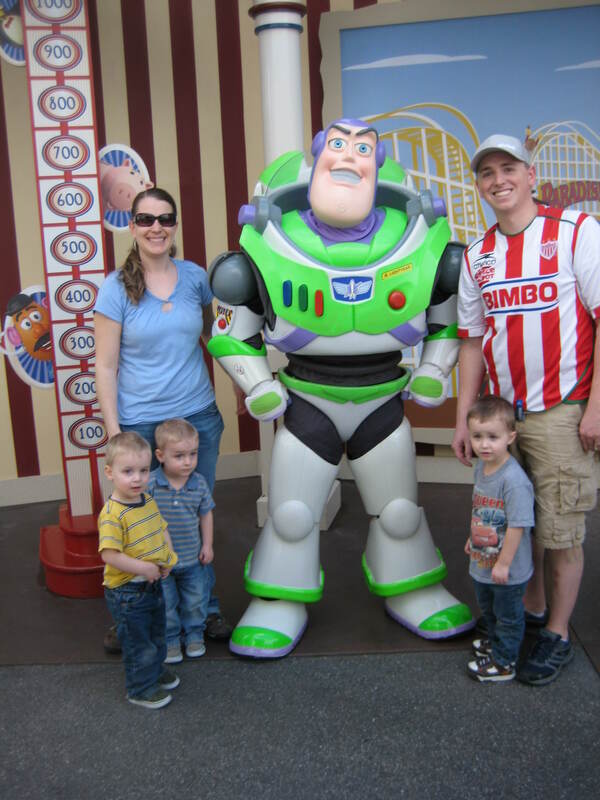 Since we were taking advantage of the free kid tickets, we tried to make this trip as inexpensive as possible. After looking on places like Mouse Savers and Pinterest for the best Disneyland deals I thought I had a pretty cheap trip planned. Right before buying tickets, a friend recommended Get Away Today so I looked into it, just to see. I saved $800 more by booking with them. We stayed at Stratford Inn and Suites, about a mile down the road from the park. They put us in a family suite: 2 queens with a set of bunk beds in a second room. It definitely wasn’t a Disneyland Resort hotel but it was comfortable and clean. The bunk beds had Mickey Mouse bedspreads, Princess wallpaper and kid-sized table and chairs–in a separate room. The boys LOVED it. They got–let me say it again–THEIR OWN ROOM. 🙂 We were happy, they were happy. Also, we saved a little bit more money by NOT getting Park Hopper Passes. Park Hopper tickets were the default at all of the places I looked into buying tickets (not surprising). They cost about $40 more per ticket than the one-park-per-day tickets. I don’t regret our decision at all. 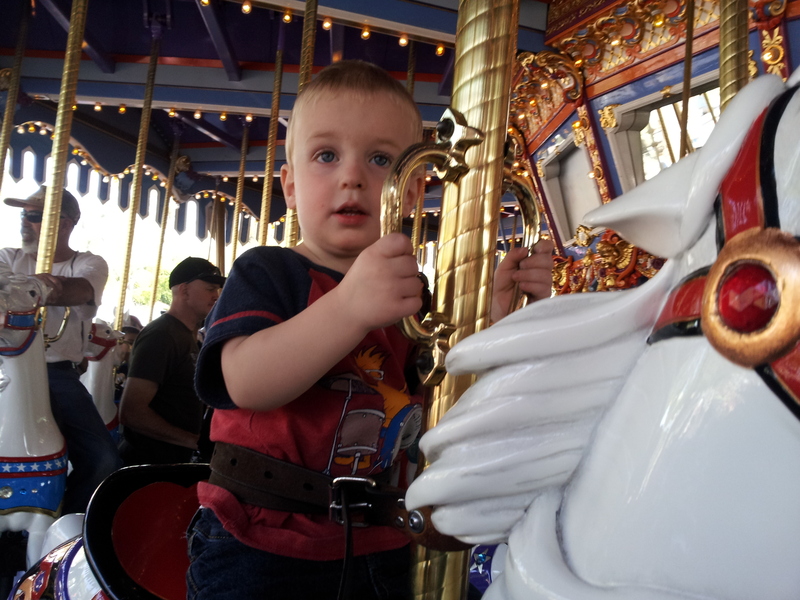 It was hard enough getting to everything in just one of the parks in one day with three toddlers. Maybe if we had older kids it would be worth it but we didn’t ever feel the need to go to both parks in one day. The hardest thing to avoid paying for was parking. I quickly discovered that you either a) pay a parking fee at the hotel b) pay to park in Disneyland’s parking lot or c) buy a ART bus pass. Coincidentally (or not), they all cost about the same thing. Our hotel didn’t charge a parking fee but it was too far to walk to the park so we bought bus passes. On the last day, the bus driver told us how to avoid paying at all. You can walk to the Disneyland (Toy Story) parking lot (which is right next to a bunch of hotels) and then just take the Disney shuttle to the park for free. They don’t ask for a ticket stub or anything. Next time, we’ll do that. We packed PB&J most days for lunch and that saved us a ton of money. Our hotels had continental breakfast and refrigerators in the rooms so it was helpful to only have to spend money on dinner. We only ate one meal in the park. We also avoided Downtown Disney and all the gift shops. 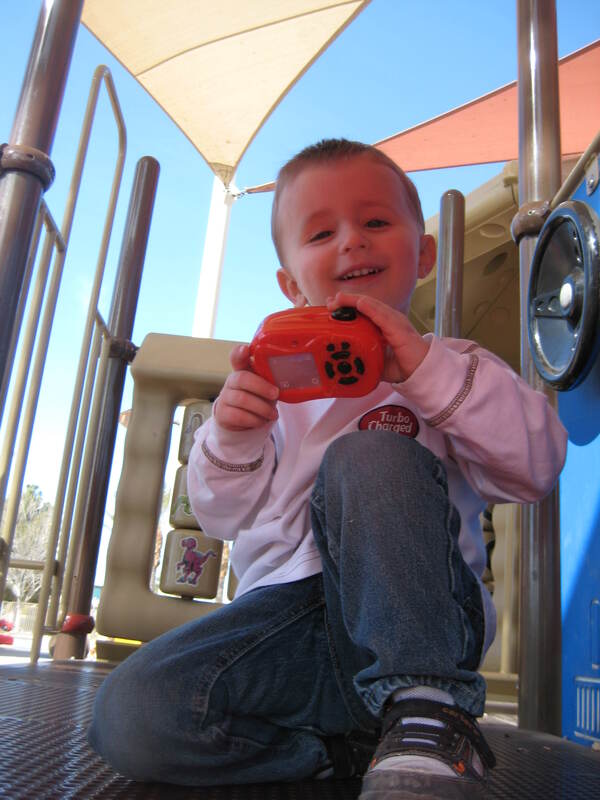 I bought some cheap travel toys at Walmart, including a Lightning McQueen camera for Isaac. Wow. $5 well spent. He wouldn’t put it down for anything! Best souvenir ever. 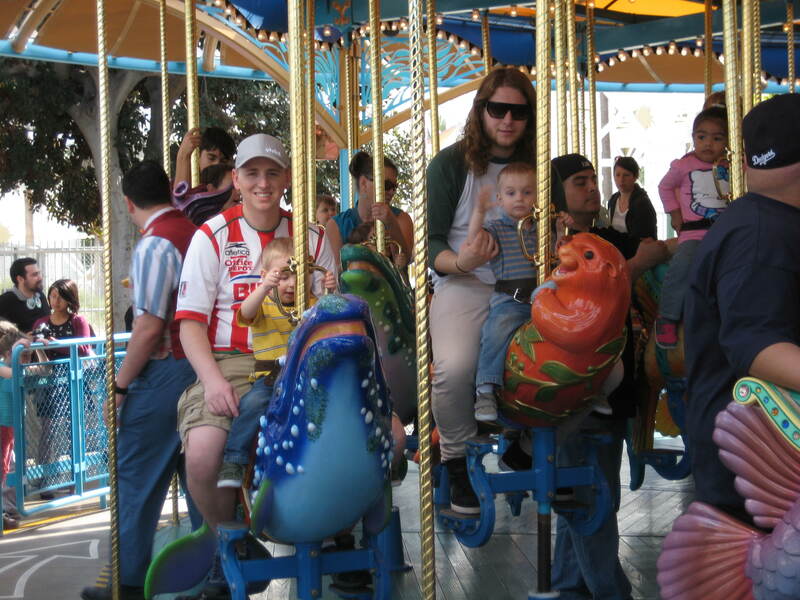 Even though the boys are still pretty “young” for Disneyland, we all enjoyed ourselves. We made memories. We bonded. If nothing else, this trip gave me more confidence in my Momma-hood. It showed me again that we can do more than we think we can. And that having a gaggle of kids (even all at once!) is a very wonderful blessing indeed.